Bring the cozy farmhouse style to your country home with the Fieldstone Black Plaid Pillow. 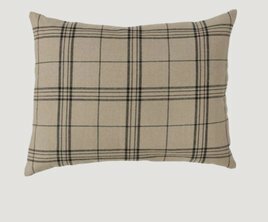 This pillow blends the colors of Oatmeal & Black Plaid. Coordinates with the Fieldstone Bedding Collection found on our site. Measures Polyester filled. 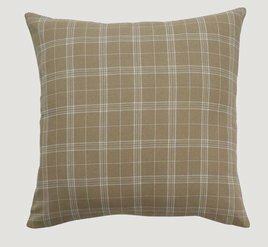 The timeless oatmeal & cream large plaid fabric of the Fieldstone Plaid Pillow will be a great addition to your farmhouse style. Let us help your refresh a room in your country home with other great items from our Fieldstone Collection.